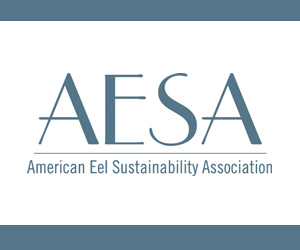 April 19, 2019 — StarKist will have to pay $84,500 in penalties for violating the terms of a 2018 settlement, according to the U.S. Environmental Protection Agency (EPA). The 2018 settlement was related to deficiencies in environmental compliance at StarKist’s tuna processing facility in American Samoa. StarKist initially paid a $6.5 million penalty to resolve the violations of federal environmental laws. The company had also agreed to make upgrades to reduce water pollution and the risk of releases of hazardous substances, in addition to providing American Samoa with $88,000 in emergency equipment for responding to chemical releases. 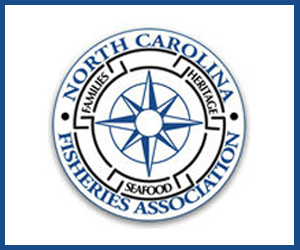 April 12, 2019 — A U.S. judge holds the fate of canned tuna company StarKist in his hands, according to a company representative speaking in federal court. Pittsburgh, Pennsylvania-based StarKist announced it would plead guilty on Thursday, 18 October, 2018, to fixing the prices of the canned tuna it sold in the United States between 2011 and 2013. In that time, StarKist acknowledges selling around USD 600 million (EUR 531 million) worth of canned tuna, setting its minimum criminal fine at USD 50 million and the ceiling on the fine at USD 100 million. Attorneys representing the Antitrust Division of the U.S. Department of Justice have argued the company can afford to pay the maximum fine, but at the 14 November, 2018, hearing in which StarKist entered its guilty plea, Lynch said that amount, combined with the restitution it is paying to retailers and foodservice companies as a result of lawsuits connected to the price-fixing, will put the company’s future in jeopardy. October 19, 2018 — StarKist pleaded guilty on Thursday, 18 October to fixing the prices of the canned tuna it sold in the United States between 2011 and 2013. The Pittsburgh, Pennsylvania-based company pleaded guilty to one felony count of price-fixing, a violation of the Sherman Antitrust Act, according to documents filed in the U.S. District Court for the Northern District of California in San Francisco. StarKist faces a fine of up to USD 100 million (EUR 87.1 million), a probationary term of between one and five years, and must pay restitution as a result of its plea. The exact amount of StarKist’s fine will be determined at a sentencing hearing and the plea agreement is subject to court approval. As part of its plea, StarKist has agreed to cooperate in the investigation. StarKist became the second company to plead guilty in the case, following Bumble Bee’s guilty plea in May 2017. Bumble Bee faced a fine of up to USD 272.4 million (EUR 234 million), but eventually the Department of Justice agreed to a lower fine of USD 25 million (EUR 22.8 million) to protect the company from potential insolvency. Former Bumble Bee executives Walter Scott Cameron and Ken Worsham and StarKist executive Stephen Hodge also each pleaded guilty in 2017 to conspiracy as part of the investigation, and former Bumble Bee CEO Christopher Lischewski was indicted in May 2017 on price-fixing charges but has pleaded not guilty. Lischewski’s case is ongoing. In a press release, the U.S. Department of Justice Antitrust Division said the guilty plea brings to a close investigation into the industry pricing practices, which it initiated in 2015. The investigation began after a failed bid by Thai Union, which owns U.S. canned tuna firm Chicken of the Sea, to buy Bumble Bee in 2015. In September 2017, Thai Union acknowledged Chicken of the Sea was the whistleblower in the case and received conditional leniency as a result. The investigation was conducted by the Department of Justice’s Antitrust Division – specifically by its San Francisco office – and by the FBI’s San Francisco field office. Federal Bureau of Investigation Special Agent in Charge John F. Bennett, who helped lead the investigation, and Makan Delrahim, the assistant attorney general leading the Justice Department’s Antitrust Division, issued statements after StarKist’s plea was entered. May 23, 2018 — Walmart has reached an agreement with Thai Union’s Chicken of the Sea International regarding antitrust claims initially brought forth by the retailer back in October 2016, and later amended in May of 2017. 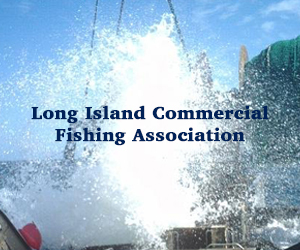 The terms of the agreement will see Tri-Union Seafoods – which trades as Chicken of the Sea International – pay a cash settlement to Walmart and partner with the retail giant in a series of joint programs and new product promotions. New product innovations will also be launched and featured across Walmart stores in the United States as a result of the agreement, Chicken of the Sea said in a press release. 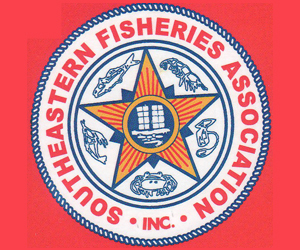 Groups of American wholesalers, retailers, and foodservice outfits began filing lawsuits in 2015 alleging that the three biggest providers of canned tuna in the United States – Tri-Union Seafoods, StarKist, and Bumble Bee – had conspired to “fix, raise, maintain, and/or stabilize prices for PSPs [packaged seafood products]” in the country. The series of lawsuits, as well as Thai Union’s failed bid to purchase Bumble Bee in 2015, spurred the U.S. Department of Justice (DOJ) to launch its own criminal antitrust investigation, examining claims that the three companies had colluded to increase prices for packaged tuna from 2008-2010, until at least July 2015. 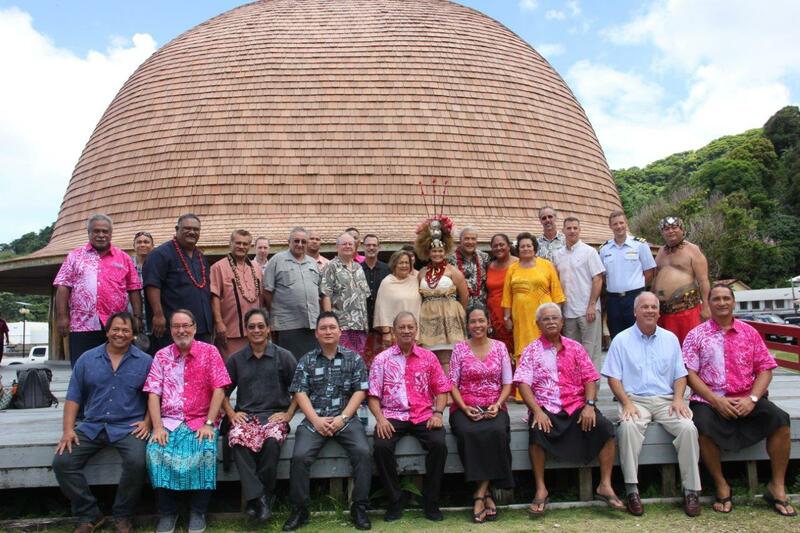 The Western Pacific Regional Fishery Management Council yesterday at the Rex Lee Auditorium in Utulei, American Samoa, voted to undertake the following actions regarding American Samoa fisheries operating in federal waters (3 to 200 nautical miles offshore). American Samoa Marine Conservation Plan (MCP): The Council noted that the American Samoa MCP expires in mid-2018 and recommended that American Samoa Government (ASG) conduct meetings with relevant stakeholders to develop its new MCP before submitting it to the Council in early 2018. The MCP identifies fishery development projects to be funded from certain fines or fees received from fisheries in the US exclusive economic zone (EEZ) around American Samoa. 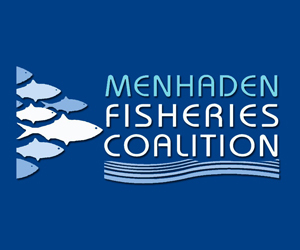 Non-fishing Impacts on Fish Habitat: The Council will ask the ASG to consider which department should have permitting and enforcement authority for sand mining regulations, provide outreach and review the regulations to ensure they are in line with other natural resource management programs. It will also encourage ASG to build capacity to collaborate between the government and communities in ongoing natural resource management and education/outreach efforts. Fisheries Data Collection: The Council will ask the American Samoa Department of Marine and Wildlife Resources to distinguish between foreign longline and domestic longline in the retail fish vendor data and to provide its needs regarding data collection staff capacity and funding. 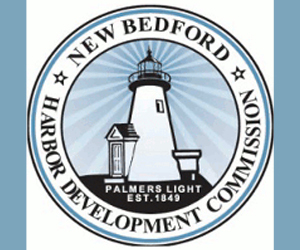 Longline Dock Extension Project: The Council recommended that the ASG commit to identifying funds for the construction of the longline dock extension or the Council will consider reprograming the funds it has to support the project. Tri Marine/Samoa Tuna Packers (STP): The Council will ask that the company allow American Samoa longline vessels to access the STP’s small dock, which the Council helped fund. The Council will also ask the company for a status update on its facility and operations in American Samoa. STP recently closed, leaving StarKist as the sole operational tuna cannery in the Territory. The Council will conclude its meeting today at the Rex Lee Auditorium. For the full agenda and additional information, go to www.wpcouncil.org/category/upcoming-council-and-advisory-body-meetings/ or email info@wpcouncil.org or phone (808) 522-8220. Western Pacific Regional Fishery Management Council: Secretary of Commerce appointees from nominees selected by American Samoa, CNMI, Guam and Hawai`i governors: Edwin Ebisui Jr. (chair); Michael Duenas, Guam Fishermen’s Cooperative Association (Guam) (vice chair); John Gourley, Micronesian Environmental Services (CNMI) (vice chair); Christinna Lutu-Sanchez, commercial fisherman (American Samoa) (vice chair); Michael Goto, United Fishing Agency (Hawai‘i); Dean Sensui, film producer (Hawai‘i); Archie Soliai, StarKist (American Samoa). Designated state officials: Suzanne Case, Hawai`i Department of Land & Natural Resources; Ray Roberto, CNMI Department of Lands and Natural Resources; Matt Sablan, Guam Department of Agriculture; Henry Sesepasra, American Samoa Department of Marine & Wildlife Resources. Designated federal officials (voting): Michael Tosatto, NMFS Pacific Islands Regional Office. Designated federal officials (non-voting): Matthew Brown, USFWS; Michael Brakke, US Department of State; RADM Vincent B. Atkins, USCG 14th District. September 29, 2016 — PAGO PAGO, American Samoa — As a result of fish-supply shortages, StarKist Co. has confirmed that its StarKist Samoa operation in American Samoa will shut down for one week next month. Samoa News learned Monday from some StarKist Samoa cannery workers of the shutdown starting Oct. 10 — right after the White Sunday holiday — but they weren’t sure as to the reason for it. The workers were a little pleased with the one week shutdown because it follows a holiday on Monday and they could spend a longer period of time with families in Samoa for White Sunday. However, other workers say the weeklong shutdown will impact their paychecks. Additionally, any shut down of the cannery for a longer period of time will also have a financial impact on private aiga buses, which provide charter bus transportation for StarKist workers. Responding to Samoa News’ request for comments on the shutdown, StarKist Co., spokesperson Michelle Faist provided a company statement, which confirmed the shutdown during the week of October 10 and the shutdown is due to “fish-supply shortages”. This is the second time in the past twelve months the StarKist Samoa plant has temporarily shut down manufacturing due to fish-supply issues facing the facility, according to the statement. April 29, 2016 — PAGO PAGO, American Samoa — Tri Marine International, whose local operations include a tuna cannery, and National Fisheries Institute (NFI) both contend that the new interim final rule by the federal government on dolphin safety labeling is due to a recent sanction of the US by the World Trade Organization in a long standing case which pits the US against its neighbor, Mexico. 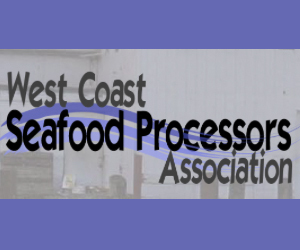 They say it is an unfair and unproductive burden to U.S. seafood companies that does not resolve the protracted WTO litigation, nor improve on the existing dolphin-safe operational performance. Industry officials told Samoa News that the new interim final rule (or IFR) will only increase operational costs for the US tuna canneries, who are already faced with stiff global competition, and that the US canneries have been adhering to dolphin safe labeling standards set by the federal government for many years. “Consumers purchasing canned and pouched tuna from Bumble Bee Foods, Chicken of the Sea, and StarKist should be confident that the ‘dolphin-safe’ label the retail packaging bears means just that,” Connelly wrote. The three canneries are the major US producers of tuna products. January 22, 2016 — SAN DIEGO (CN) — An ongoing antitrust case against seafood giants got even bigger as the federal government has intervened in litigation against the likes of Bumble Bee, Tri-Union Seafoods, StarKist, and others. U.S. District Court Judge Janis Sammartino held a status conference Wednesday in a room filled to the brim with more than 50 lawyers from around the nation, hoping to move the case forward. The U.S. Department of Justice Antitrust Division filed an unopposed motion to intervene in the lengthy litigation on Jan. 13. 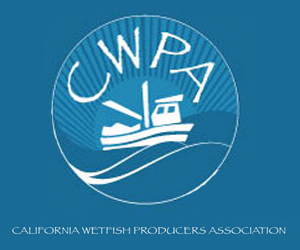 The feds are seeking a limited stay of discovery to aid in an ongoing federal grand jury investigation in the Northern District of California, into whether the biggest canned tuna producers violated the Sherman Act by conspiring to fix prices. The original class action complaint was filed in San Diego by Olean Wholesale Grocery Cooperative on Aug. 3, 2015. Dozens of lawsuits over price-fixing by the three biggest packed-seafood companies have since trickled into San Diego Federal Court after being transferred from other courts across the nation. The three companies control 73 percent of the U.S. market: Bumble Bee, 29 percent; StarKist, 25.3 percent; and Tri-Union, 18.4 percent, according to the complaint. Both Bumble Bee and Tri-Union Seafoods, which makes Chicken of the Sea brand shelf-stable tuna, are headquartered in San Diego – once the tuna-fishing capital of the world.